Your path to better health begins in our reception as you arrive and meet Pat, our office manager. You truly appreciate the positive and vibrant atmosphere. Dr. Kjaer introduces himself after you complete some simple paperwork to help him understand your health concerns. This visit includes a complete health history and thorough examination. Dr. Kjaer analyzes and evaluates the results of the examination and consultation and tailors your treatment specifically to you. He can decrease symptoms, rehabilitate injuries, and improve performance using chiropractic, massage, exercise rehabilitation or physical therapy. Dr. Kjaer explains what the problem is, how he may help, and the best course of action to alleviate your problem. X-rays may or may not be required. Dr. Kjaer uses his hands or an instrument to provide treatment to the painful joints, muscles, tendons, ligaments, soft tissues, bones, discs and/or nerves depending upon what is required to diminish your symptoms or limitations. a) Symptomatic care provides pain relief for the short term. b) Corrective care corrects the underlying cause of the problem, improves function and strengthens the spine to minimize recurrences. c) Preventative or wellness care involves check-ups at regular intervals to maintain your good health much like a dentist would suggest. Dr. Kjaer always takes the time necessary so that there are no surprises. Everything is explained in advance and Dr. Kjaer ensures you are comfortable with the methods of treatment. He gives advice so you can help yourself get better faster. 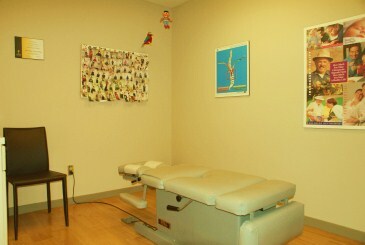 Dr. Kjaer knows that many people seeking help have never visited a chiropractor before. We can help you get more out of your life: family, sports, hobbies, work, etc. There is hope. There is a solution.